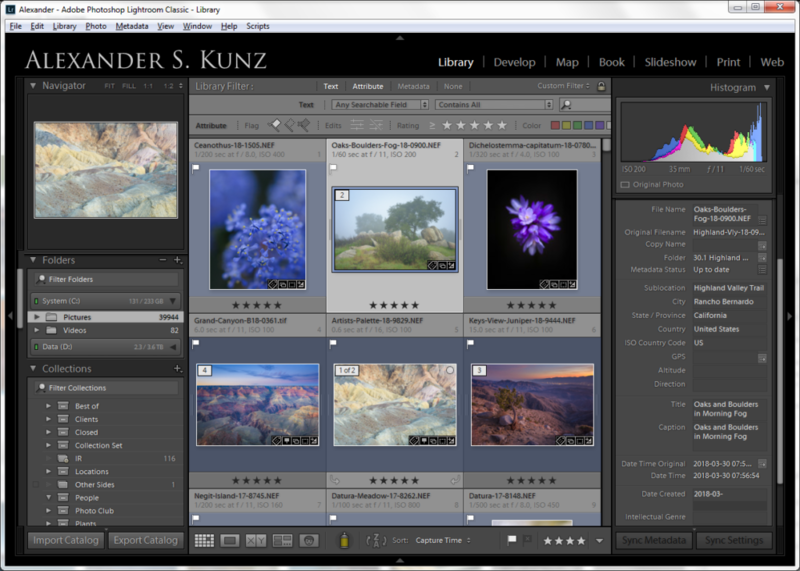 Our Lightroom workshops with the club’s own Lightroom tutor and vice president Alexander S. Kunz are back. This first workshop of the year is focused solely on organizing photos in Adobe Photoshop Lightroom Classic CC. The workshop will help you stay on top of your photo organization and workflow so that you’ll never lose track again. Most of us know and use Lightroom to help us catalog, organize and develop our photos – but do you know or use it to its full potential? It’s a powerful software package, and with its wealth of features comes a complexity that few of us fully utilize – unless you are an experienced long-time power-user and professional. Our instructor Alexander S. Kunz is one such person – some members of our club call him “Dr. Lightroom”, and we think rightly so! He will share his knowledge and experience of being a Lightroom user since 2007 with you in a workshop packed with information about organizing photos and creating a workflow in Lightroom. We will NOT process photos during this workshop – it’s all about the Library module, workflow and organization. We’re at a new and convenient location in Rancho Bernardo, very close to the I-15 Freeway. The venue has plenty of parking, the room has a real classroom layout with chairs and tables, and there are good nearby eateries for our lunch break. Attendance is limited. If you’re interested, don’t wait. Buy your ticket now. Take I-15 and exit at Rancho Bernardo Road. Go east on Rancho Bernardo Road. At the intersection with the Circle K and Arco gas stations, turn left (north) onto Bernardo Center Drive. Turn left at the first traffic light, onto Park Terrace. Continue to the stop sign and turn right. You’re at the parking lot and the Hilton Garden Inn is to your right.